Annuling a marriage is not the sole province of Catholics. Judaism allows it too. For Catholics it is a device used to circumvent their prohibition against divorce. If I understand correctly they find ways to say that the marriage was invalid to begin with – as though it never happened. Devout Catholics ' seeking a Church sanctioned divorce - use this legal fiction based annulment in lieu of one. Judaism does permit divorces. And yet - as noted - we have our own version of annulments. We too find ways to say a marriage never happened. It is called a Mekach Taus - a marriage based on error. Had the woman known about a real defect in the man she would never have married him. This is a Halachicly legitimate way to void a marriage which the Gemarah discusses making a Halachic divorce (a Get) unnecessary. Why not just get a divorce if you find that out after you are married? That is the basis of huge controversy in Judaism. Annulments cannot be a legal fiction. They must be based in a real mistake about a real defect. Which brings me to the Agunah problem. An Agunah is a woman that cannot be married because her husband's whereabouts are unknown, or if he is even alive. As the term is used today, it applies to women who seek a Get but their husbands refuse to give them one. Women have no option to get divorced unless their husbands willingly give them a Get. This is not true for men. Although they too are forbidden to marry another woman while still married (by virtue of the Cherem D'Rabbenu Gershom) - they have workarounds that are not available to women. And even if they violate the prohibition, the consequences are not anywhere near as severe. These differences are of major magnitude. Making it one of the most unfair situations I can imagine. What can a women ‘chained’ in this way do? This is where annulment comes in. If it can be determined that there was a Mekach Taus – a mistaken ‘purchase’ - the marriage is annulled as though it never happened. Sounds rather simple. Catholics certainly think so. But things are not that simple in Judaism. 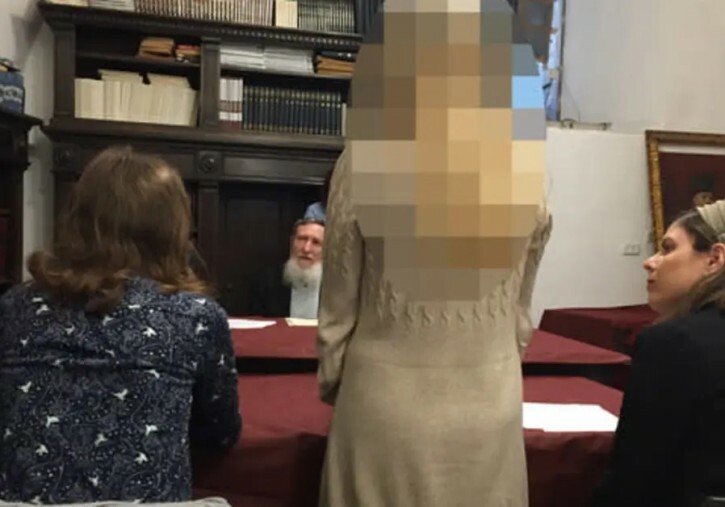 Several years ago, the late Rabbi Emanuel Rackman created a religious court that he believed would solve the Agunah problem for a lot of women trapped in a marriages they do not want. Many of them living separately from their husbands for many years and even having had a civil divorce (Which is not recognized by Halacha). He used the ‘loophole’ of Mekach Taus in cases where the woman could prove that she married an abusive man without ever being informed about it prior to her marriage. Had she known about this ‘defect’ she surely would not have married him. He convened such a court and an associate by the name of Moshe Morgenstern started annulling marriages – thus ‘freeing up’ Agunos that were refused a Get. Problem solved? Not exactly. Far from it. This court was widely condemned as invalid. There was not a single rabbinic authority of stature that approved of what that court was doing. Including Rav Solveitchik. It was further accused of creating Mamzerim in Israel. An abusive husband was not considered a defect worthy of annulment. Rav Soloveitchik explained that it is based on the Gemarah (Kidushin - 42a) which states: Tav L'Meisav Tan Du Mil'Meisav Armalo. Roughly meaning a woman would rather remain in an abusive marriage than to be single and alone. While this may not be true today (...who in their right mind would stay in an abusive relationship?) it was apparently true in Talmuidic times. And the truth is that there are many women today that do stay in abusive marriages for a variety of reasons. I’m not sure whether the Rackman Court still exists. But for obvious reasons I would not recommend anyone use it to to solve their own Agunah problem. The latest case involves a woman originally from abroad and who married abroad, but who now lives in Israel. According to CWJ (Center for Women’s Justice) the woman, who cannot be named since her ex-husband poses a physical threat to her, was pressured into the marriage, which quickly became highly problematic. During the marriage, her ex-husband was violent and emotionally abusive, and humiliated her in various ways. .. The man was also physically violent toward his first wife and was eventually convicted in a criminal court of assault and imprisoned due to his violent behavior against her. He had also been imprisoned on other occasions for other criminal behavior, and was even hospitalized in a psychiatric ward due to mental health problems he suffered from. None of this information had been disclosed to his second wife before they were married. For the rest of the gory details read the entire story at VIN. I must admit I am sympathetic to what Rabbi Sperber has done. The description of the hell this women went through because of a condition that she was not aware of when she got married surely warrants an annulment. Or does it? I have to wonder why the Chief Rabbinate refused to give her one - assuming she went there first. There must have been a problem implementing an annulment. Much like the problem that existed in the Rackman Court. It cannot be that they would be so cruel that they would not use a Halachic device available to them to free this poor woman. No matter how cynical one maybe about the ulterior motives of the Chief rabbinate, I do not see Rabbi David Lau and company that way at all, despite any criticism they may get - legitimate or not. No human being with the blood of Abraham coursing through his veins can be that cruel. So as sickening as it is, I’m not sure Rabbi Sperber has done these women any favors by letting them commit possible adultery with the additional possibility of giving birth to Mamzerim. I say this with no joy in my heart. Quite the opposite. I am entirely sympathetic to this woman’s plight and even to Rabbi Sperber’s solution. But only if it is a real solution. Is it? I honestly don’t know. But one must look at realities and see things as they are. Not as they wish they could or should be.